The story of the Nathan Peake novels, the Wars of the French Revolution and the history on which the novels are based. The Mouth of the Nile, 9th August, 1798: Admiral Nelson has sent Captain Nathan Peake on a desperate journey across the Middle East to convey a grim warning to British India. Bonaparte’s army is poised to deliver a fatal blow to the source of Britain’s wealth and power by marching overland to India. Arriving in Bombay, Nathan takes command of the East India Company’s naval wing - the Bombay Marine - an under-armed and poorly crewed flotilla of sloops and gunboats. With these meagre resources he must stop the flow of French supplies to their Indian ally and protect the Company’s trade from the pirates and privateers swarming in the Bay of Bengal. 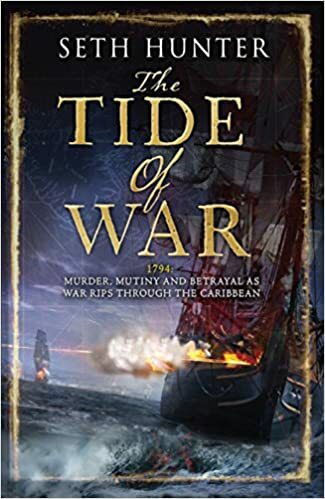 But when Nathan discovers the truth behind the East India Company’s honorable facade he confronts some tough personal choices and a crisis of conscience even more threatening than the enemy. 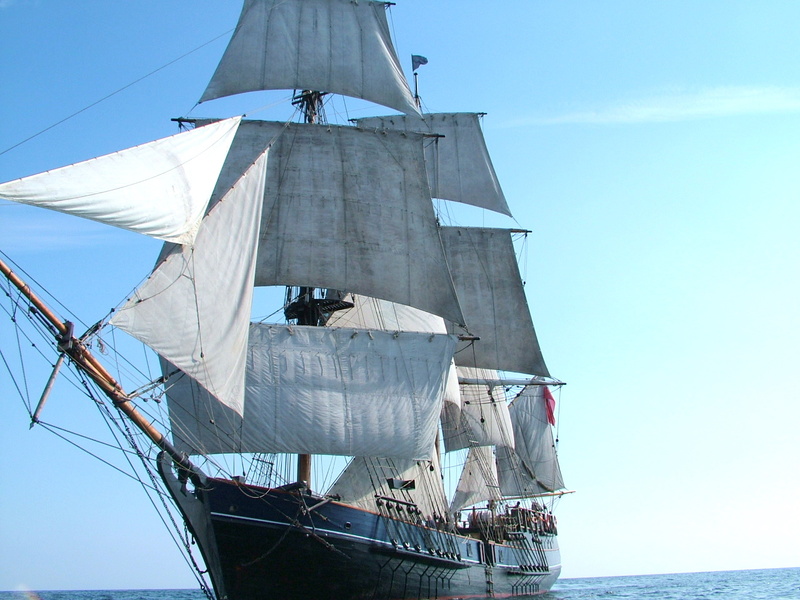 Another good sea tale that belongs in the company of Horatio Hornblower and Lucky Jack Aubrey. 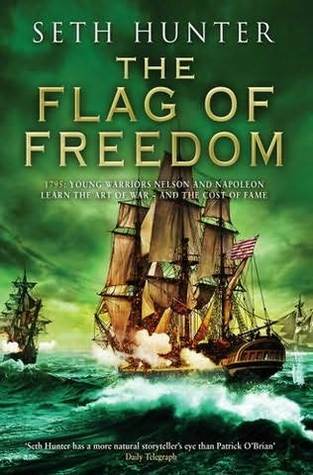 Nathan Peake, newly made captain, faces pirates, mutineers, hurricanes, and of course that ultimate enemy -- The French. "So God and His Britannic Majesty are on the same side in this war?" "It is unusual, I agree--but yes, it would seem so, for the time being. As we face a common enemy." Click on the About Nathan Peake page to learn more about the characters - real and imagined - in the Nathan Peake series. The Winds of Folly , The Flag of Freedom & The Spoils of Conquest. 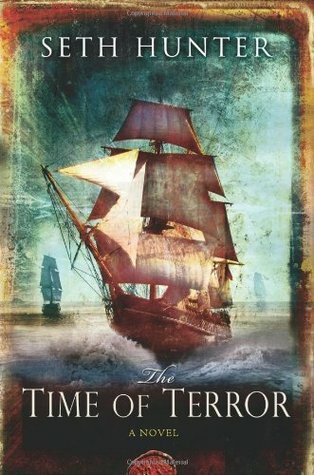 Follow the trail of Nathan Peake through the first global conflict in history from the shores of the British Isles to the bayous of New Orleans and Louisiana; from the catacombs under the streets of Paris in The Time of Terror to the even more dangerous canals of Venice in The Winds of Folly. Study the maps and charts, the photographs and archives, explore the locations, and make your own virtual journey through the eventful and often treacherous world of Nathan Peake. The Nathan Peake novels are published by Headline in the United Kingdom and by McBooks Press in the United States and are available in all good bookstores and on the internet. 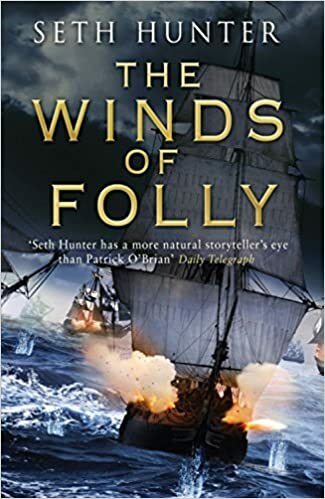 Click on the Seth Hunter page to find out more about the author of the Nathan Peake series and follow his own journey through the world of Nathan Peake. Regular updates on the progress of the Nathan Peake series and some of the author's own adventures in writing it.